A total of 40 Brazilian companies are due to attend three-day Dubai trade event, representing a 32 percent increase on the number of Brazilian companies that attended last year. The trade event, now in its 20th year, will be held at Dubai International Convention and Exhibition Centre from 26 to 28 May. The increase in Brazilian exhibitors is largely due to a campaign organised by Brazilian Association of the Cosmetic, Toiletry and Perfumery Industry in partnership with the Brazilian Trade and Investment Promotion Agency to promote the sector’s sales abroad. Exhibitors include Bionat, Brazilian Secrets Hair, Daltro Cosméticos, De Sírius, Embelleze, Est, Goz Cosméticos, Honma Tokyo, Ideal, Itallian Hairtech, Nazca Cosméticos, Nunaat, Prolab, Realgems Amenities, Sther Cosméticos, Studio Hair, Sweet Hair, Tech Line and Vidal Life. In 2014, the companies linked to the project exported US$ 4.3 million in beauty products to Arab nations, an increase of 38.7 percent compared to the previous year. The Middle East and Africa is poised to be the world’s second fastest growing beauty market, as Saudi Arabia, Iran, and the UAE held a 37 per cent share of the region’s US$25.5 billion of beauty and personal care retail sales in 2014, according to global market intelligence firm Euromonitor International. 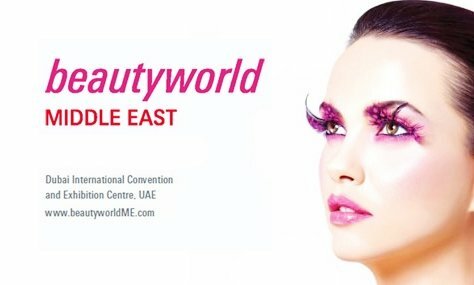 Last year, Beauty World Middle East attracted 28,632 visitors from over 120 countries and 1,368 exhibitors from 52 countries. The majority of exhibitors showcased at the event last year were from the Middle East (31 percent), followed by Europe (30 percent), Asia (29 percent), North America (6 percent), South America (2 percent), Africa (1 percent) and Australia (1 percent). Exhibitors were largely skincare companies (537), followed by Hair, Nails and Accessories exhibitors (285) and Machinery, Packaging and Raw Materials companies (187). The event is organised by Messe Frankfurt. Headquartered in Frankfurt, the trade show specialists organise over 115 events every year in 30 locations across the world, generating approximately €545m in sales.